Market participants across Europe will be forced to trade several major UK stocks on European venues if the UK leaves the EU without a deal later this month, sparking huge concern from the UK’s financial regulator. The European Securities and Markets Authority (ESMA) published a statement on changes to the share trading obligation under a ‘no-deal’ Brexit scenario, confirming that 14 of the UK’s biggest stocks would have to trade on venues inside the EU. The major UK stocks listed by ESMA include Vodafone, Coca-Cola, BP, Rio Tinto and GlaxoSmithKline. ESMA stated that in the event of a ‘no-deal’ Brexit and in the absence of an equivalence decision handed to the UK by the EU, the share trading obligation will apply to all shares traded on EU trading venues, and UK shares that are considered liquid in the EU. The move means that European banks and buy-side firms will not be able to trade the listed UK shares, despite some of them being listed in the country, or EU stocks on UK-based trading venues. 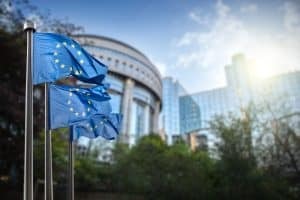 ESMA’s clarification has sparked major concerns from the UK’s Financial Conduct Authority (FCA), which warned the changes could see widespread disruption to trading across Europe. With ESMA’s approach, the FCA added that it will be impossible to avoid conflicting obligations applying to the same instruments, as the UK will have a separate share trading obligation upon its departure from the European Union. ESMA concluded that if the timing and conditions of Brexit change, it will adjust its approach and inform the market of any changes as soon as possible. At the same time, the FCA has urged ESMA to engage with it constructively on changes to the share trading obligation to minimise potential disruption to trading.